We've broken this policy down into the following sections, so you can find the details you need easily as possible. 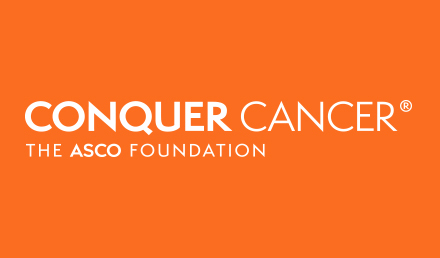 We are American Society of Clinical Oncology, Inc., and its subsidiaries and affiliates, including Conquer Cancer, collectively, “ASCO”. Our registered office is American Society of Clinical Oncology, Inc., 2318 Mill Road, Suite 800, VA, 22304, USA. We are registered in the United States of America the New York Department of State, Division of Corporations under Registration No. 186471, and with the Virginia State Corporation Commission under SCC ID F12257 (Foreign). When you visit the Website, including by tracking technologies. Through email, text, other electronic messages, paper registrations, telephone inquiries or communications between you and the Website or ASCO. Note that “Website” is further defined in Section 13, Glossary. 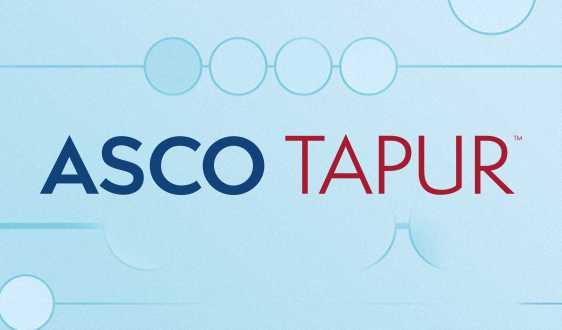 The Website contains Third Party Managed Pages hosted, operated, or managed on ASCO’s behalf. Our contracted third-party service providers may directly collect PII and other information from you as necessary for completing authorized transactions or other engagements you undertake with ASCO on these pages. Examples of these Third Party Managed Pages include our meeting registration, job search, journals, abstract and manuscript submission sites, volunteer portal, QOPI page, the Cohort Site, PracticeNet, voting pages, shopping cart pages, the ASCO Act Network, my Connection, the ASCO State/Regional Affiliate Program Page, and others. The Website also makes use of third-party Cookies, Web Beacons, Pixels, and dynamic tags, which may allow third parties to collect information about you and your activities on the Website and provide you, or enable others to provide you, with functionality within our Website, additional personalization, or with advertising. For additional information concerning Cookies, Web Beacons and Pixels, see Section 13, Glossary. Are the member of a business that we acquire. We also collect information from certain organizations, where appropriate and to the extent we have legal grounds to do so. These include fraud-prevention agencies, business directories, billing calculating agencies, and connected network providers. Your account information, such as payment data, subscriptions you use, membership status, meeting attendance, account numbers or other information related to your account. See the “Cookies” section for details on what we collect using cookies, web beacons and other technologies, including digital advertising. Your browsing history. We don’t have a history of the sites you browse. 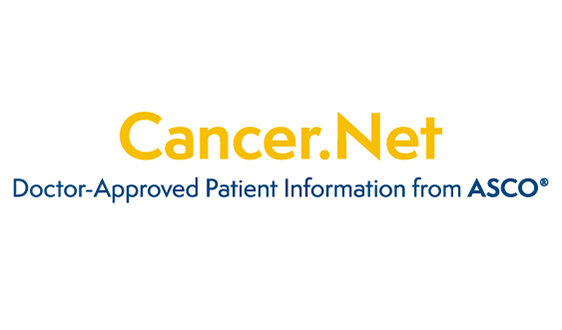 If you have given permission, ASCO may collect the categories of website you have browsed on your device(s), e.g., Research & Progress, Advocacy & Policy, Meetings or Membership, and use these interests to send you personalized marketing or advertising. You can opt-out of advertising through Cookies and in the case of marketing. See, Section 13, “Your Rights and User Restrictions. Information we obtain from other sources, such as fraud-prevention agencies, and from other data providers. This includes demographic data, interest-based data, and internet browsing behavior. Responding to your questions or providing information that you request. Providing you with products, services, or subscriptions you select, including associated benefits. Managing membership, volunteer, purchase and registration functions. Carrying out our obligations and enforcing our rights arising from any contracts entered between you and us, including for billing and collection. Presenting our Website and its contents to you. Helping dynamically generate content on web pages or in newsletters. Statistically monitoring how many people are using the Website or opening our Emails. Helping us evaluate the purpose for which our users undertake certain activities, including those listed immediately above. Determining the popularity of certain content. Restricting underage use of our services. Speeding up your searches and facilitating log-in and navigation, and as session timers. Enabling us and our advertisers and social media partners to display advertisements to appropriate target audiences, including Online Behavioral Advertising. Storing information about your preferences, allowing us to personalize your content. 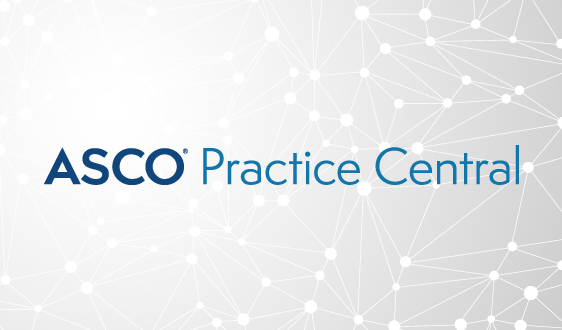 Locating member practices and practice locations for non-members, searching for members in the ASCO Membership Directory and in our Find a Cancer Doctor Database, offering institutional licensing, and for compliance purposes. Whenever we rely on this lawful basis to process your data, we assess our business interests to make sure they are legitimate, our use is necessary for the applicable purpose, and does not override your rights. Additionally, in some cases you have the right to object to this processing. See also, Section 10, “Your rights and User Restrictions”. C. Compliance with a mandatory legal obligation, including for example accounting and tax requirements, which are subject to strict internal policies (such as retention periods), procedures, and your right to restrict usage of your data, which control the scope of legal assistance to be provided. D. Consent. When you give your consent for the processing of your personal information, you will be given details on how to change your mind at any time. Consent may be withdrawn or modified at any time. Visit the “Your rights and User Restrictions” section of this policy for more information. The third parties who provide us with third-party Cookies, may use these technologies to collect information about you when you use the Website to provide you with advertising based on your visit to the Website or to collect impressions data regarding the efficacy of advertising placed with us. Third parties may have the ability to link the information they collect about you when you use the Website with other information they collect about you elsewhere on the Internet or information about the device you are using. Third parties may also collect information about your online activities over time and across different websites and other online services or mobile devices and may use this information to provide you with Online Behavioral Advertising or other targeted content. 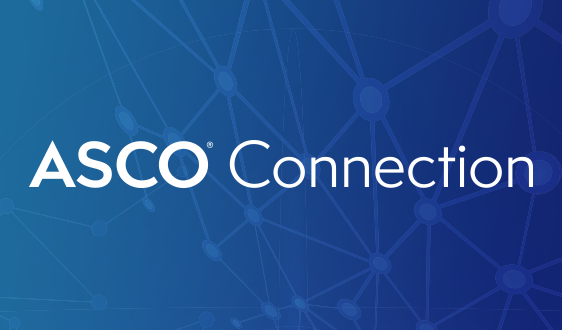 ASCO has engaged third-party vendors and service providers to provide services in connection with the Website, outreach for our programs and services, and to help us manage our web presence and improved performance. We may share personally identifiable information or “PII” or other information with these third-party vendors and service providers as necessary so that they may provide the services for which they have been engaged. 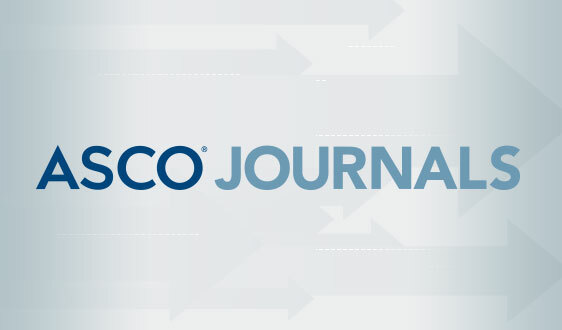 PII and other information submitted to ASCO through Third Party Managed Pages are also shared with the relevant third-party vendor as necessary for completing authorized transactions. For additional information on “PII” see Section 13, Glossary. In addition, some of the content and services on the Website, including advertisements, are served by third parties, including advertisers, ad networks and servers, content providers, and technology and application providers. Some of our advertisers may participate in the Facebook/Nielsen program, which helps advertisers improve their measurement of advertising effectiveness. If you are a Facebook user and access a page on our site containing an ad from a participating advertiser, you can learn more about this program and find out how to opt out here: https://www.facebook.com/help/ and here: http://www.nielsen-online.com/privacy.jsp?section=leg_scs. We use a variety of analytics methods including what is commonly referred to as “big data analytics”. Big data analytics are mathematically driven analysis techniques on large and varied data sets to uncover hidden patterns and trends. We may create de-identified or anonymous data from PII by removing data components (e.g., name, email address, or linkable tracking ID) that makes the data personally identifiable to you or through obfuscation or through other means. Our use of de-identified or anonymized data is not subject to GDPR or this Privacy Notice. Provide reports to third parties (such reports do not contain information which may identify you as an individual). When you register, you may be asked whether you want to receive special announcements and future communications by email. If you check “yes” but change your mind at any time in the future and no longer wish to receive correspondence by email, you will be able to opt-out of these services. See Section 10, “Your rights and User Restrictions”, below. We occasionally survey visitors to our Website. Survey responses are used in aggregated, de-identified form to help us understand the needs of our visitors so that we can improve our site. The information may be shared on a de-identified and/or aggregated basis with third parties with whom we have a business relationship. While you may always decline to share personal information, if survey respondents provide personal information (e.g., personal email) in a survey, it is shared only with those people who need to see it to respond to the question or request, or with third parties who perform data management services for our Website, product or service. Those third parties have agreed to keep all data from surveys confidential. The Web server automatically collects the Internet Protocol (IP) address of the computers that access our site. By itself, an IP address merely indicates which computer sent a query, which is not PII. Only when correlated with information like user logs, query patterns, and other contextual information do IP addresses convert to PII. Typically, we use this information in aggregate form to understand how our Website or advertisements are being used and to analyze how we can better serve visitors. See Section 13, Glossary, for additional information on PII. Because the Oncology Career Center™ is a career site, it gives job seekers the option of posting their resumes to our database. There are two ways to post a resume. You can store your resume in our database but elect to exclude your resume from searches by potential employers. Excluding your resume from database searches means that you can use it to apply for and respond to individual job postings, but employers will not have the ability to search it. You will have the option to allow your resume to be searchable by potential employers. Selecting this option permits all parties with access to our searchable resume database to have access to your resume. You may remove your resume from the database and change the status of the resume from searchable to non-searchable, and vice-versa, at any time by updating your profile page on the Oncology Career Center™. We cannot and do not guarantee that third parties will not, without our or your consent, gain access to our resume database. You hereby expressly: (a) acknowledge that registered employers and other third parties who gain access to the database with or without our or your consent may retain a copy of your resume, even if you subsequently change the status to non-searchable; and, (b) agree that in no event shall ASCO be responsible or liable for the retention, use, duplication, distribution, or privacy of resumes in these instances. Potentially sharing with exhibitors at the event through badge scanning onsite at the event. You would physically present your badge for scanning. Attendee Lists and Exhibitor Email applications allow event exhibitors to send you email/direct mail. These applications generally do not allow exhibitors direct access to your contact information. When you visit our premises or events, we may also collect information about you on CCTV as part of our security and crime prevention measures. Once your data has been shared with a third party, ASCO no longer has direct control over that information, but we require our partners to agree to follow GDPR. Access to data and technology relating to user information is password-protected and limited to authorized personnel and those vendors that require access to the information in order to furnish services to ASCO and our customers. 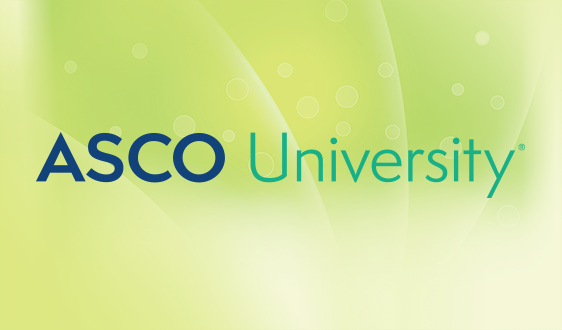 In addition, ASCO uses industry standard technology to keep users’ information secure while residing on ASCO’s servers. We have specialized security teams who regularly review and improve our measures to protect your personal information from unauthorized access, accidental loss, disclosure, or destruction. Communications over the internet (such as e-mails) are not secure unless they have been encrypted. Your communications may go through several countries before being delivered, as this is the nature of the Internet. We cannot accept responsibility for any unauthorized access or loss of personal information that is beyond our control. We will never ask for your secure personal or account information by an unsolicited means of communication. You are responsible for keeping your personal and account information secure and not sharing it with others. Our Website may provide links to third-party websites. We cannot be responsible for the security and content of such third-party websites. Please be sure to read that company’s privacy and cookies policies before using or putting your personal information on their site. The same applies to any third-party websites or content you connect to using our products and services. California Civil Code Section 1798.83 permits users of our Website that are California residents to request certain information regarding our disclosure of personal information to third parties for their direct marketing purposes. To make such a request, please send us an email to privacy@asco.org or write us at American Society of Clinical Oncology, Inc., 2318 Mill Road, Suite 800, Alexandria, Virginia 22314, Attn: Privacy or Security Officer. You have the right to make a request for a copy of the personal data that ASCO holds about you. 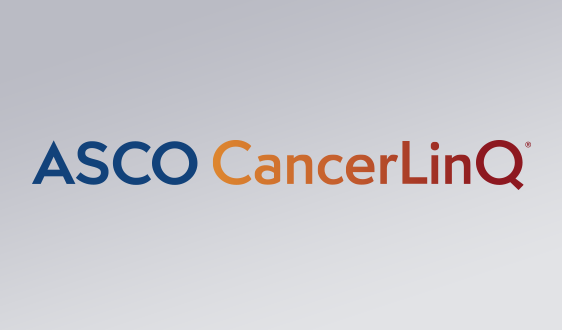 To make this request as an individual or an authorized third party, you can contact our ASCO Customer Services Team at the above-referenced contact information. You have the right, in certain circumstances, to object to ASCO processing your personal information. If you have questions about this right, please contact our ASCO Customer Services Team or email us at customerservice@asco.org. 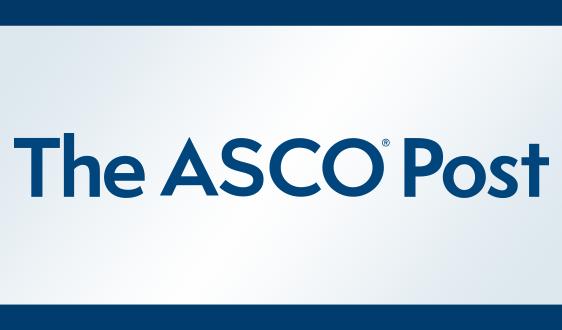 If you no longer want to receive marketing messages from ASCO, you can elect to opt out of all marketing communications or only selected methods (e.g., email, phone or post). Send us an email at privacy@asco.org. Opting out does not mean that you won’t any longer receive service-related messages or other communications from us regarding transactions you undertake with us. You may continue to receive those (unless we have indicated otherwise). If you do not wish to receive personalized marketing, or you subsequently change your mind, email customerservice@asco.org. Please recognize that Third-Party Managed Pages (and their products and services) may have their own preference centers for communications with you relating to those specific products and services (e.g., our Journal subscriptions or MyConnection forums). If any questions arise, contact us at customerservice@asco.org or privacy@asco.org so that we can discuss your preferences. If you want to contact us about any of your rights or complain about how we use your information, contact our Customer Services team or email us at customerservice@asco.org. We’ll do our best to help but if you’re still unhappy, you can contact the Information Commissioner’s Office. Their website www.ico.org.uk has details on how to contact them. If you feel data we hold on you is inaccurate, or you believe we shouldn’t be processing your data, please contact our Customer Services team to discuss your rights. In certain circumstances, you will have the right to ask us to restrict processing. ASCO strives to only process and retain your data for as long as we need to. In certain circumstances, you have the right to request that we erase personal data of yours that we hold. If you feel that we are retaining your data longer than we need, it is worth first checking that your contract with ASCO has been terminated, which you can do with Customer Services. If your contract with ASCO has been terminated, then we may still have lawful grounds to process your personal data. Our Website is not intended for children under 13 years of age. No one under age 13 may provide any personal information to or on our Website. We do not knowingly collect PII from children under the age of 13. If we learn we have collected or received personal information from a child under 13 without verification of parental consent, we will delete that information. If you believe we might have any information from or about a child under 13, please contact us at privacy@asco.org. If you are an International User, the GDPR (and related International regulations) requires ASCO to inform you of its use of automated decision-making tools. ASCO uses various tools, such as Google Analytics® and Adobe Analytics Cloud, to track your online activities to provide you with tailored advertising. You have the right not to decline decisions based solely on automated processing, including profiling. Personally Identifiable Information (“PII”). Any representation of information that permits the identity of an individual to whom the information applies to be reasonably inferred by either direct or indirect means. Further, PII is defined as information: (i) that directly identifies an individual (e.g., name, address, SSN or other identifying number or code, telephone number, email address, etc.) or (ii) by which an organization intends to identify specific individuals in conjunction with other data elements, i.e., indirect identification. (These data elements may include a combination of gender, race, birth date, geographic indicator, ASCO Member ID and/or other descriptors). Additionally, information permitting the physical or online contacting of a specific individual is the same as PII. This information can be maintained in any form. Website. Collectively, the ASCO website, the Cancer.Net website, the ASCO Journals websites, the Oncology Career Center™ website, ASCO Practice Central, the ASCO University website, the ASCO Connection website, the ASCO Photo Gallery, the TAPUR Study website, the ASCO University Meeting Library website, the ASCO in Action website, the ASCO Volunteer Portal, certain state affiliate websites, meeting microsites, and any other online functionalities or services included in the websites operated by ASCO, but excluding our mobile applications.